Tomorow night in Leominster MA come out to see Thor: the Dark World we will have some giveaways but after Thor stay for the Midnight showign of Army of Darkness the third part fo the Evil Dead Movies. 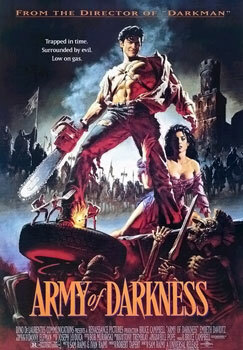 IF you went and saw Evil Dead this past March then this was the film that came before that. Tickets are only $5, we give away prizes for this movie.